Have you checked out our SALE yet? No? Well you'd best be quick. With up to 50% off and new lines added its selling fast! Plus until Monday 17th April 2017 you can get an EXTRA 10% OFF too! With so much amazing product and such great deals to have its hard to pick a few pieces, right? Well I have chosen my Top 10 Best Sale Picks. 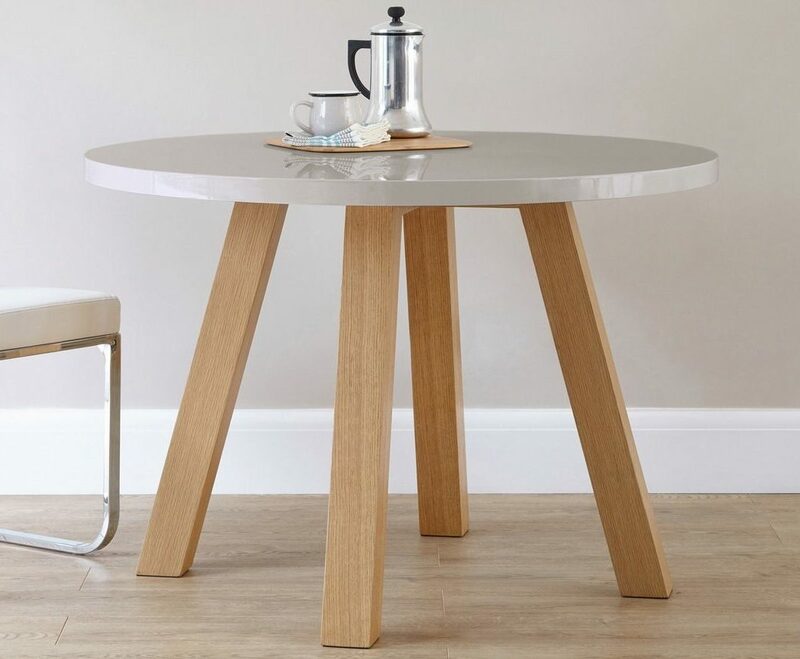 Whether you're after a new Dining Set, or a living room makeover with new Coffee Tables and Consoles. 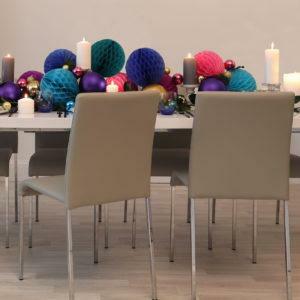 As much as we would all love to refresh our homes bi-yearly, its not all that practical. 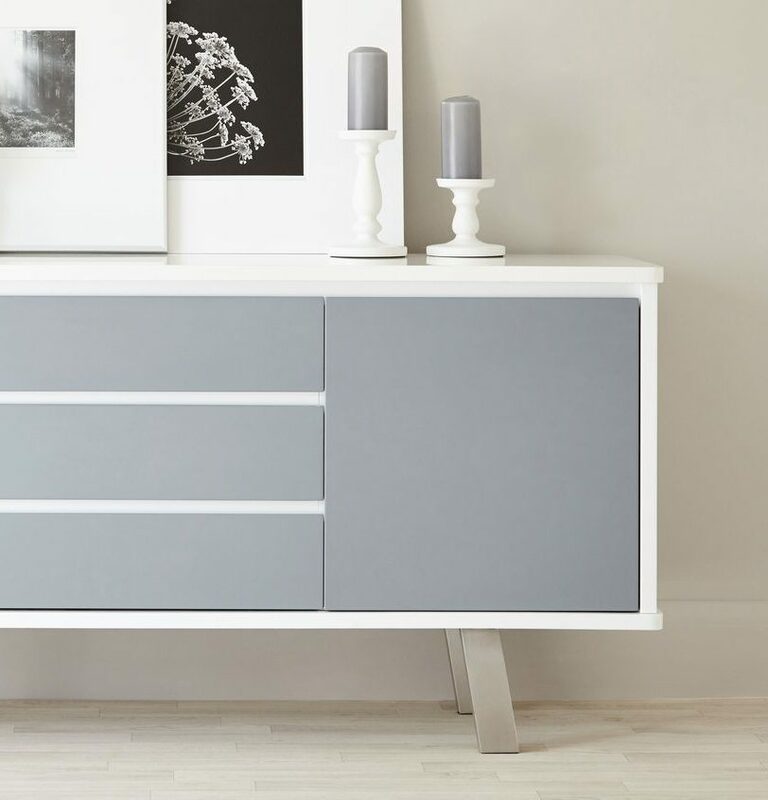 So, here are 5 quick and easy home updates for under £100! 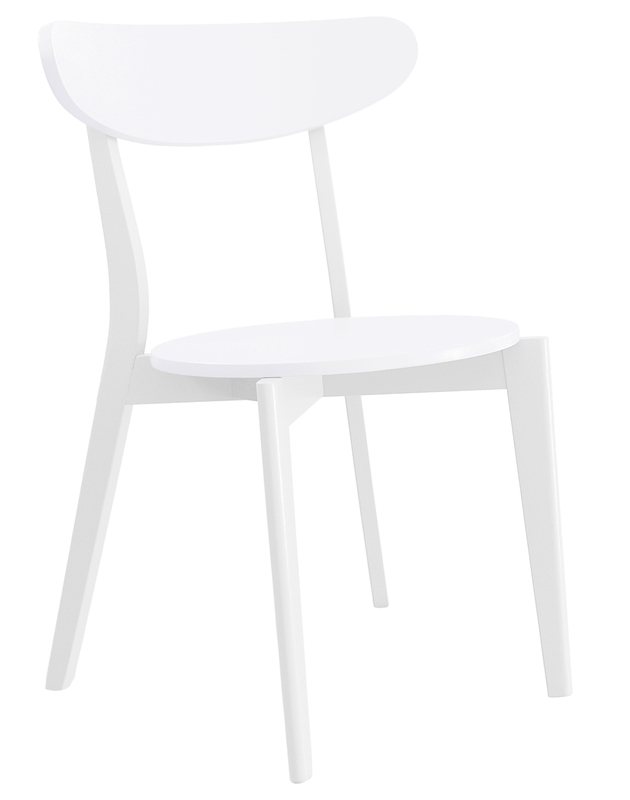 The Riva Stackable Dining Chair is a personal favourite of mine. 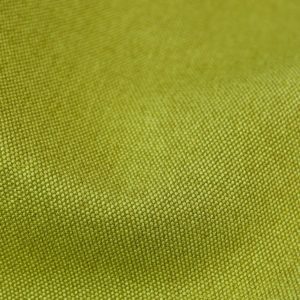 Greenery was announced as Pantone's Colour of the Year 2017, and the Lime Riva sits into this category perfectly. 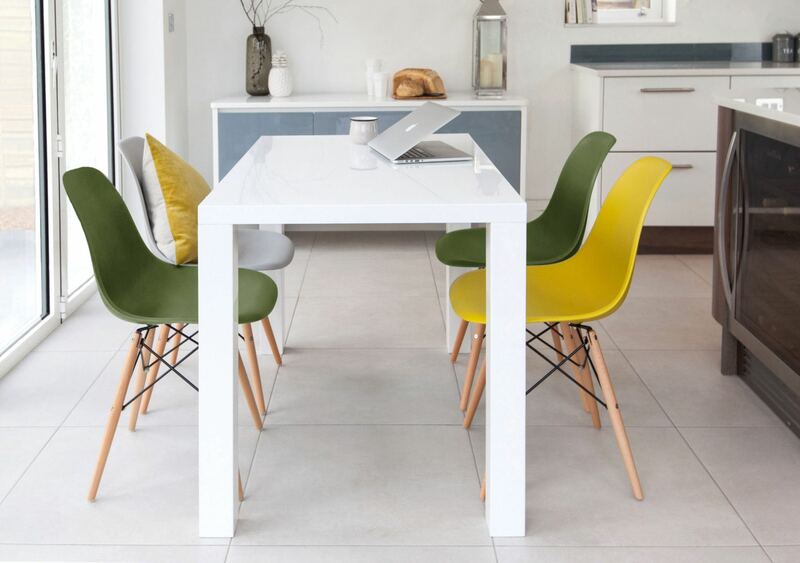 While lime green may not be a common choice for a dining chair, adding a splash of colour will lift and update a room instantly. Why not go for a colour clash look and mix up with pops of tangerine, fuchsia and teal? 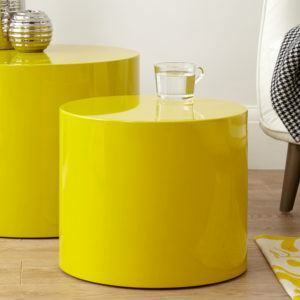 Or maybe keep monochromatic with just a dash of Lime? And at just £39 its an absolute steal! Also, the best thing about the Riva is these chairs are stackable... So you can stack 'em up when not in use! A perfect summer alternative to create you own personal Greenery Paradise! 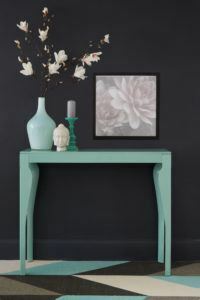 First of all, who can resist a console table? 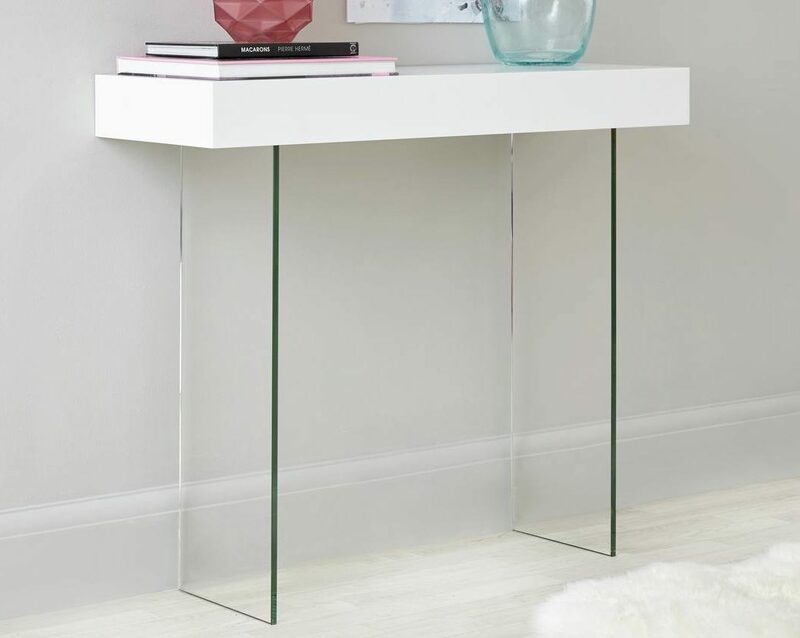 With their compact, thin silhouette, Console Tables are the perfect addition to any hallway or alcove. 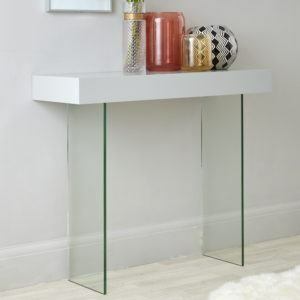 I've even been known to use a console table as a dressing table too! 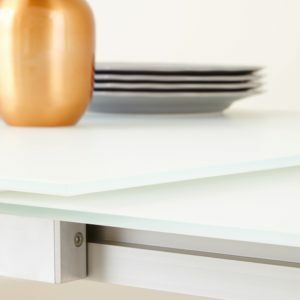 (These little space saves are so versatile!) 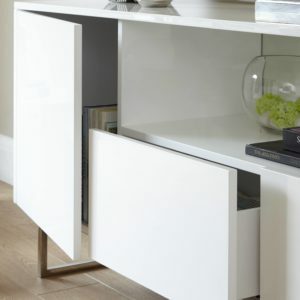 Due to the Gloss finish and curvaceous leg, our Eva Console is a modern update of a classic carpentry design. In addition to these unique details, the Eva is available in White, Aqua and Taupe gloss... And at just £99 who can resist this little beauty! Seems like you have a new favourite..? 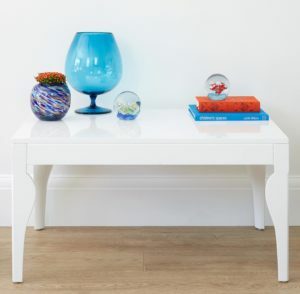 And why not- Console tables are great and a super easy way to add style and substance to any room! 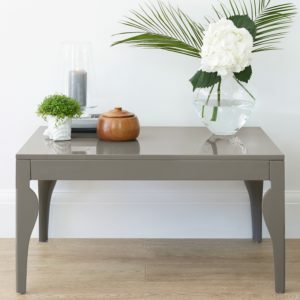 Probably want something to go with that Eva Console table, right? 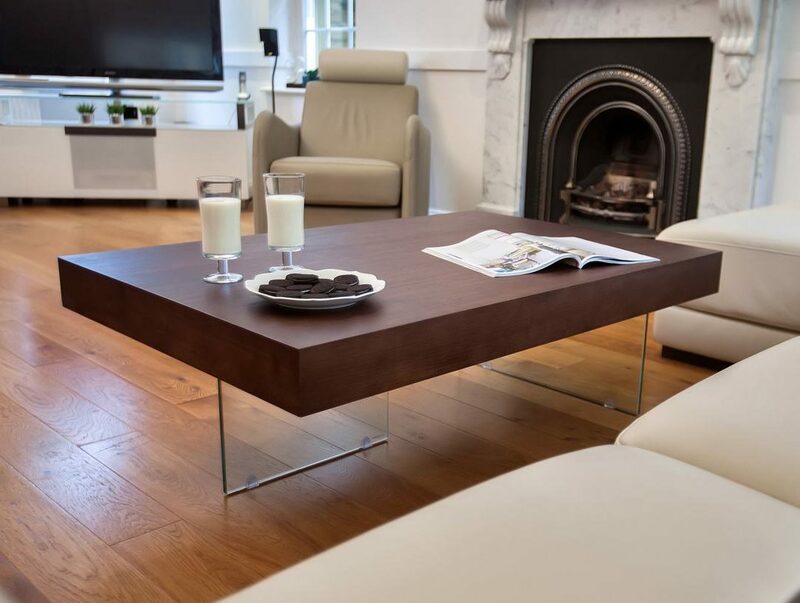 Maybe treat yourself to a set and get the Eva Coffee Table too! Available in Taupe, White and Aqua gloss. 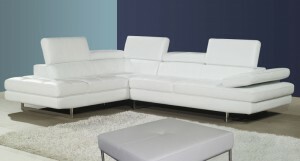 Same as the console tables, this is the perfect pairing for any living room. 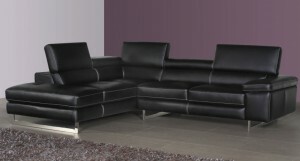 Since you can get up to £100 off PLUS 10% off that in our sale, you're looking at a new set from £134! Just don't forget this is a limited time offer and expires midnight Monday 17th April 2017. 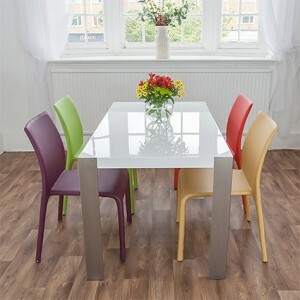 Because Eva is available in 3 colours, all of which compliment each other wonderfully, maybe try mixing up the finishes? 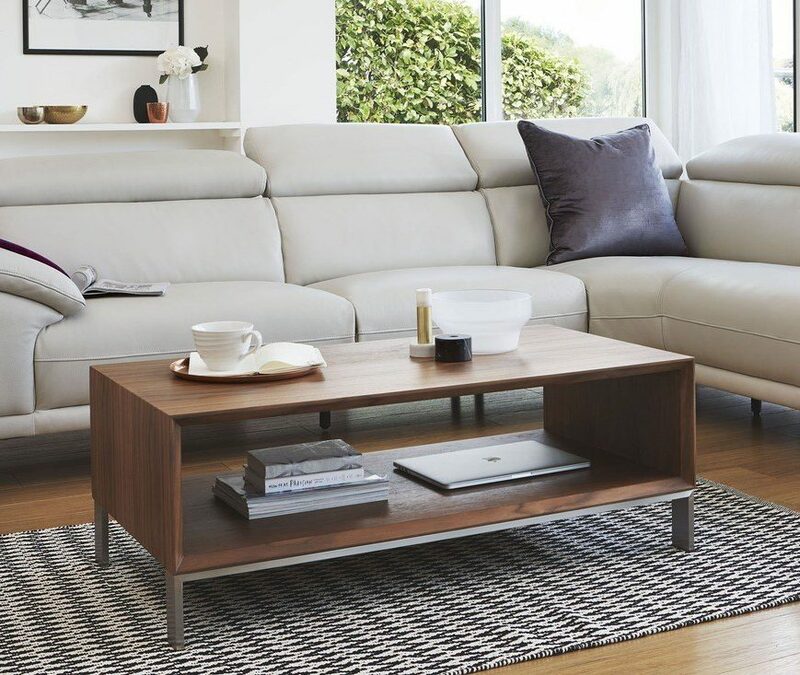 In conclusion, the Eva Coffee Tables are a perfect home update for under £100! We all love a bit of red. Possibly the most used colour in our Kitchens? 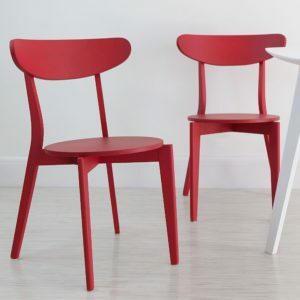 Thats why I have picked the Poppy Red Senn Dining Chair as one of my top sale picks. Not only is it an absolute steal at just £29, but it is also stylish, versatile and perfect for families. 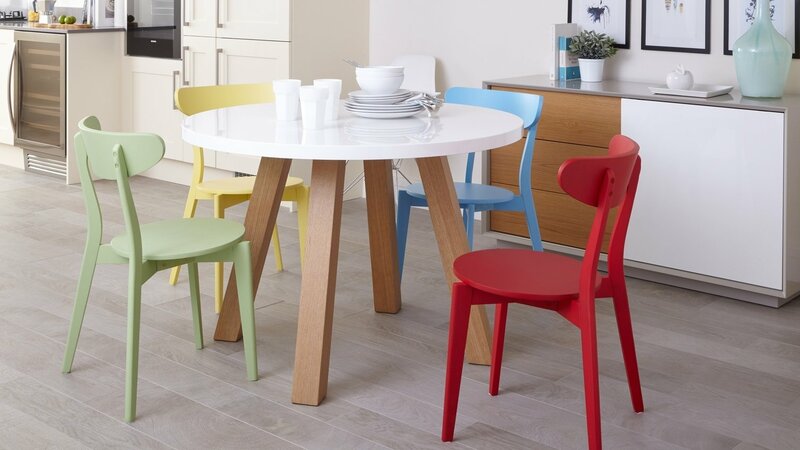 Either keep all your dining chairs red, or mix and match as with our colourful Senn and Arc dining set. 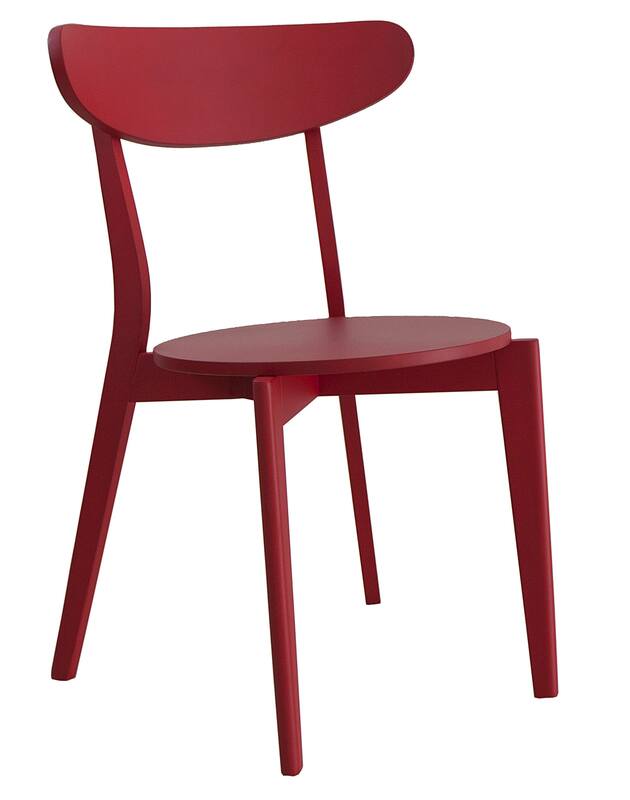 Since the bright red is such an eye catching colour, you could even use the Senn Chair as a stand alone piece? Maybe position in an entrance way, or keep in the bedroom as a useful (definitely not for throwing clothes on) statement piece. This is probably one of my favourite pieces from the sale... but thats just me! 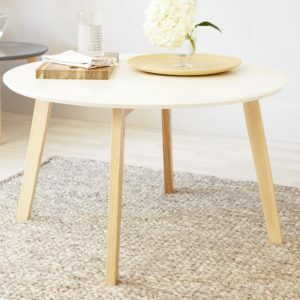 Because we all know Scandi living is winning the interior design trends at the moment, our Penny Coffee Tables are the perfect piece for this style. 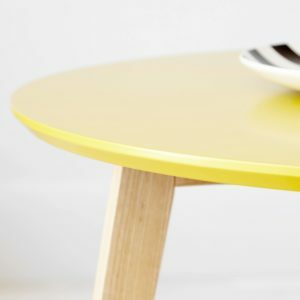 The Slim Oak leg and either white, grey or, my favourite, yellow tops can slide easily into any existing living room. 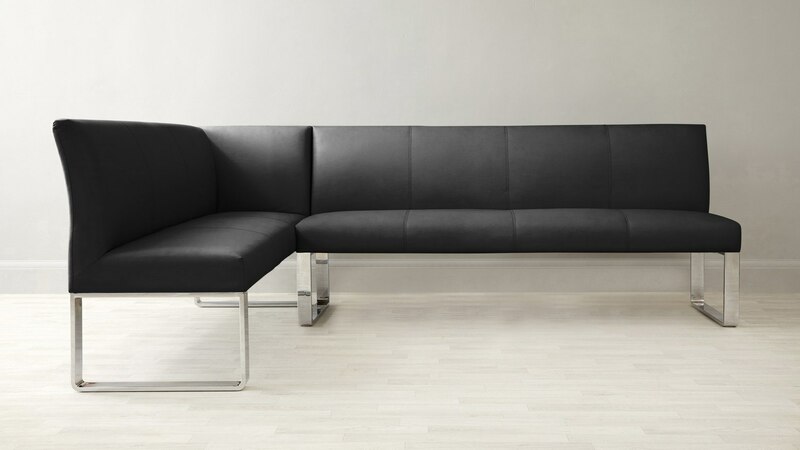 Keep styling to a minimal if you want to create a Hygee inspired home. Think candles, house plants and heavy textures. Otherwise, try styling with metallics to reflect off the soft matt satin finish. 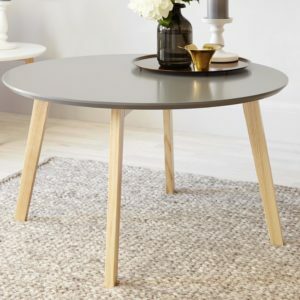 Most of all, the Pebble Coffee Tables are only £89! Bargain. So, there you have 5 (maybe more..) of my top sale picks under £100. But thats not everything! Head over to the sale page on our site for more great deals under £100! And make sure you don't forget you can get an extra 10% off until midnight on Monday 17th April 2017. In addition to the above style steals, if you're after something more substantial and a bit of a statement, we've got you covered. Let me show you some of our best deals and stylish finds! 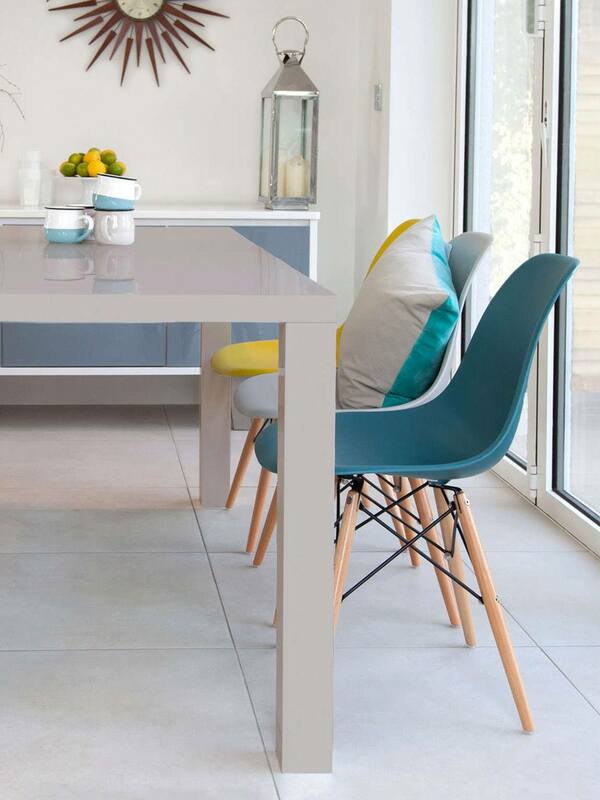 We have already seen the Eve White Frosted Glass Dining Table in this post, featured with our Lime Riva Chairs. 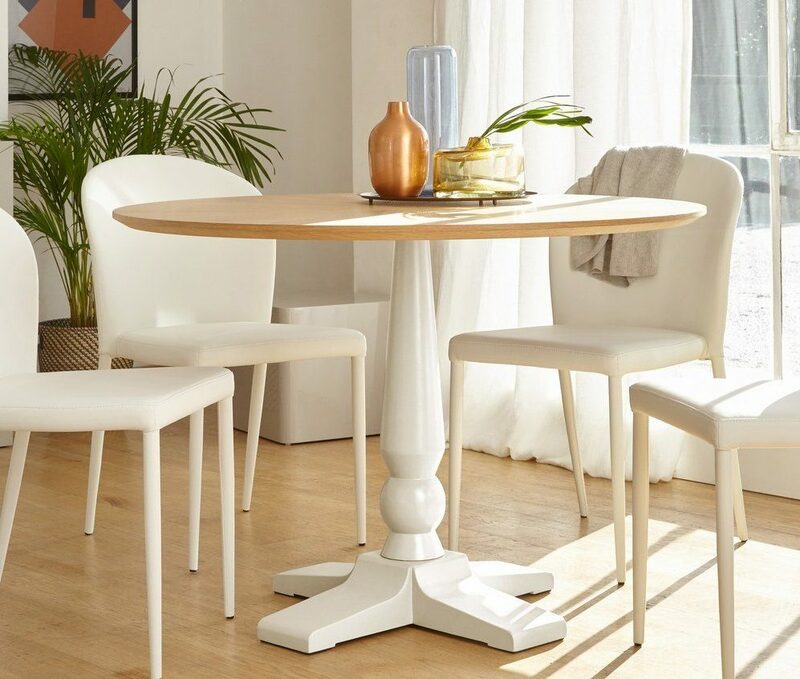 But an extending Dining Table, featuring a frosted glass top and smooth satin painted leg, who could resist? 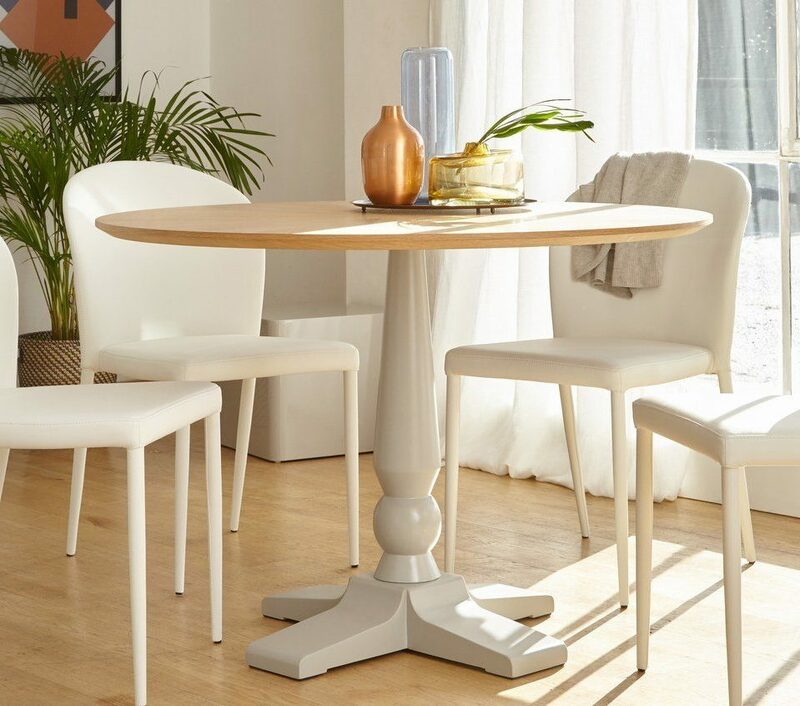 While in use daily, the Eve is a comfortable 4 seater dining table. 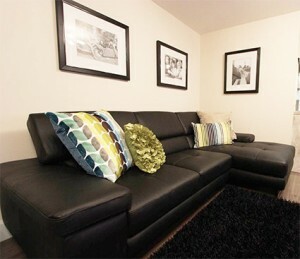 However, come the holidays (such as Easter), you can extend to an 8 seater. Thats enough room for all the family and the dog! 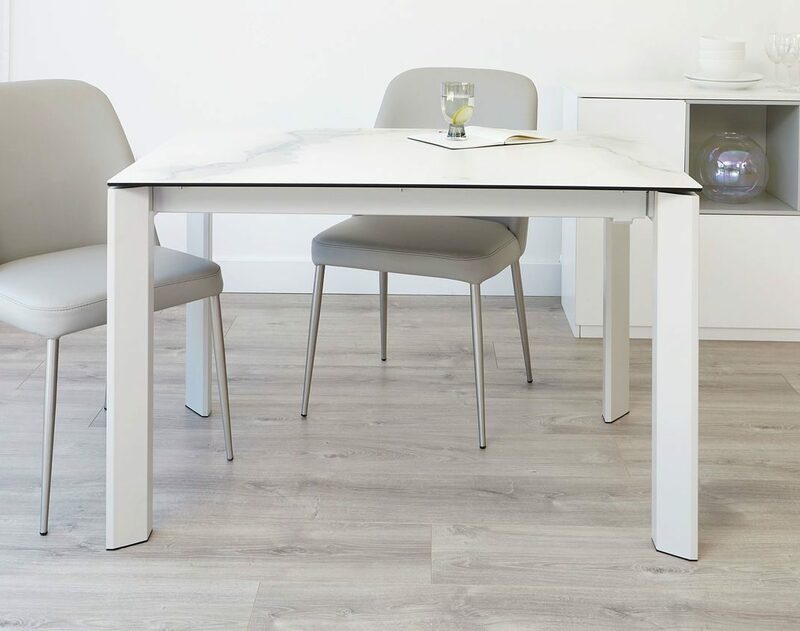 We often get asked for extending dining tables under £500, and the Eva White Frosted Glass is the perfect table. 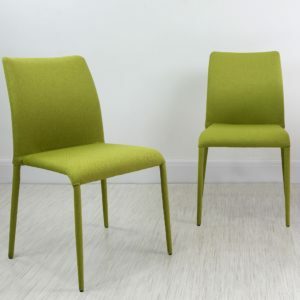 Add the Riva Lime chairs and you're onto a winner! 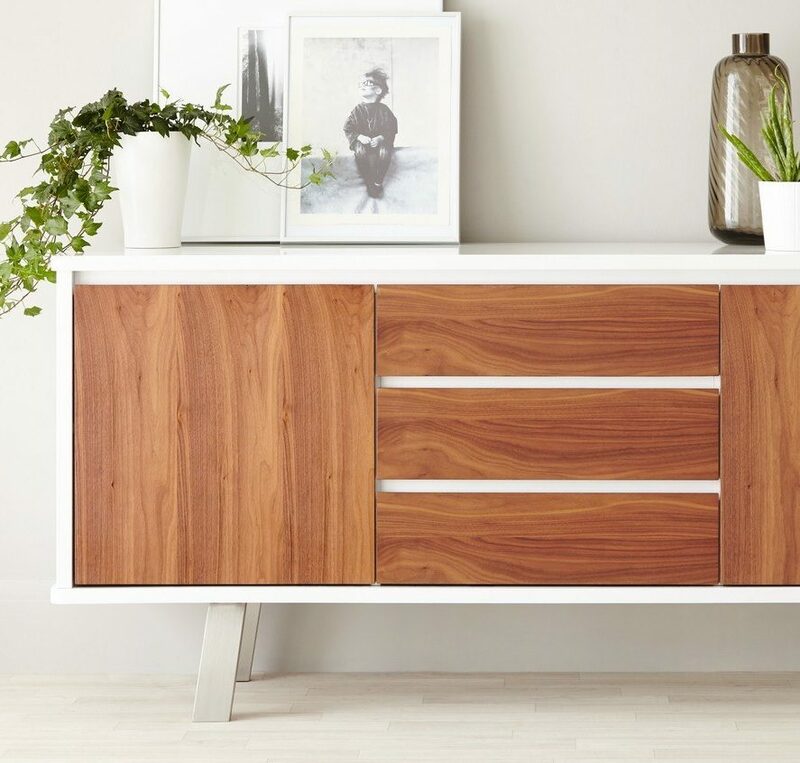 There is no denying I LOVE a sideboard (keep your eyes peeled for new styles coming soon)! 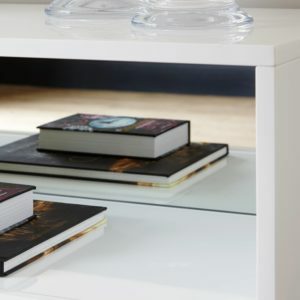 They're amazing to hiding away books and DVD's or for storing your special dinner wear. In addition to their tidying abilities, they're great fun to style! 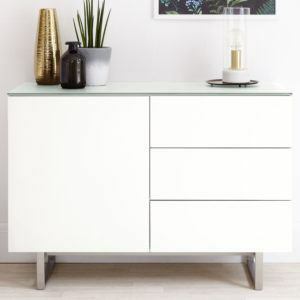 The Reflect Sideboard is a substantial and sturdy piece, which for £499 is a great price. 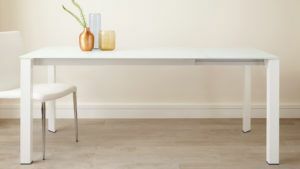 Probably the most useful piece of furniture, in addition to chairs, obviously, sideboards are great in Dining Rooms and Living Rooms. 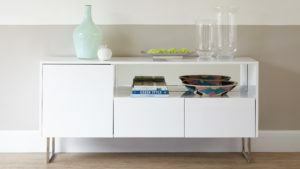 Also if you have the luxury of space, a great alternative to a console table in a hallway! 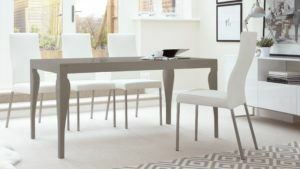 As part of our collection with Julia Kendell, Interior Designer and TV Presenter, we have the Arc 4 Seater Dining Table. 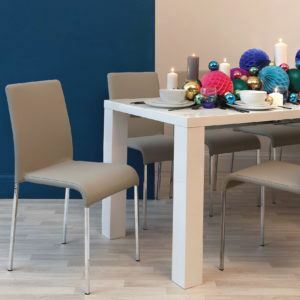 While homes are getting smaller there is more desire for compact dining furniture. 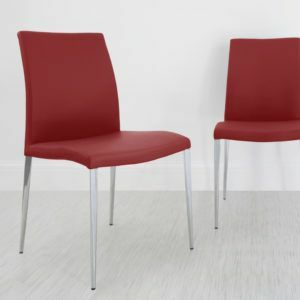 Coming in at just 110cm in diameter, this tasty little number is stylish and small, yet still comfortable enough to seat 4 around it. 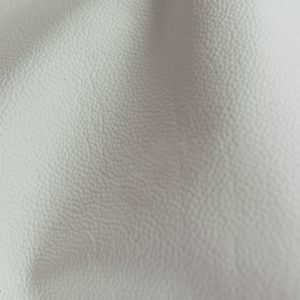 We all know white leather is the epitome of Luxe Living. As a result, we have created Tod. 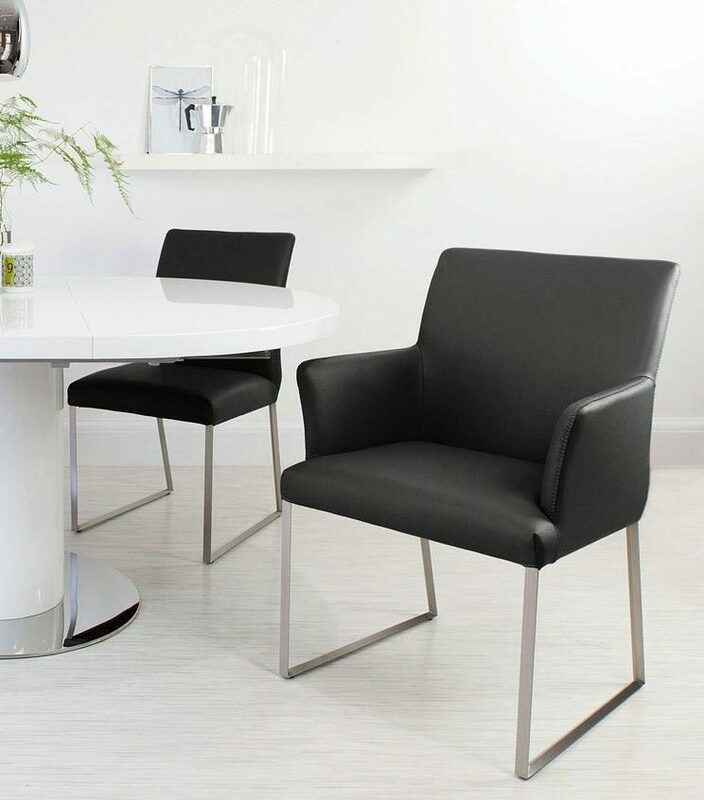 This real leather dining chair with brushed metal legs is a very welcome addition to any Kitchen or Dining Room. White just works. Everywhere. Yet people are scared to use white? First of all, don't be. 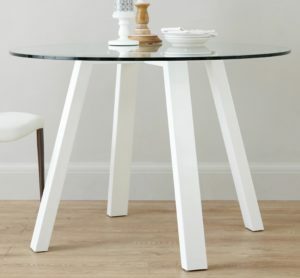 White is beautiful and co-ordinates with literally any table. 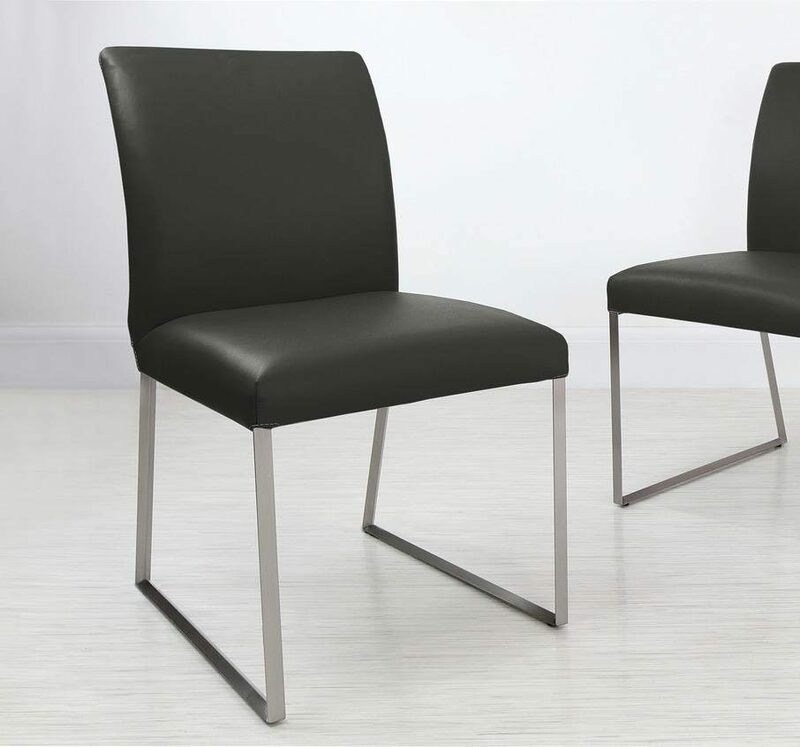 Second of all, at just £89 for a real leather dining chair with a modern roll back this is ticking all the style boxes! Ok, I'll admit it. I love our Eva collection. Its so classic, yet so modern! 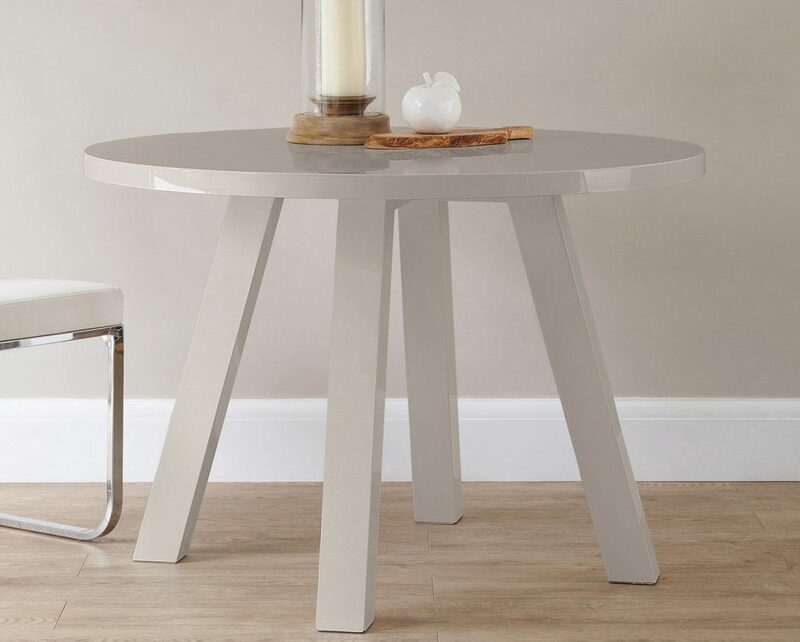 So my final top sale pick is this, the Taupe Eve 6 Seater Dining Table. 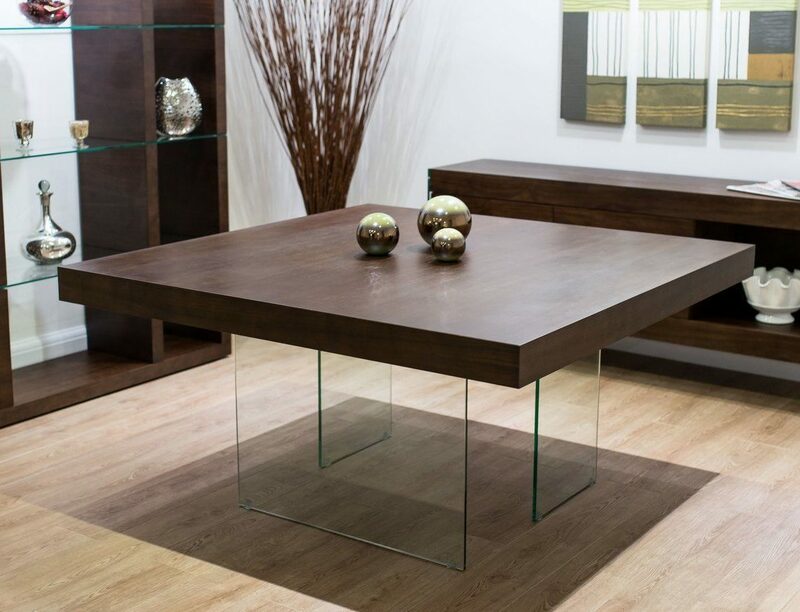 Rather like the Coffee and Console Tables, this Dining Table features a contemporary leg and the stunning Taupe colour makes this a real design feature. 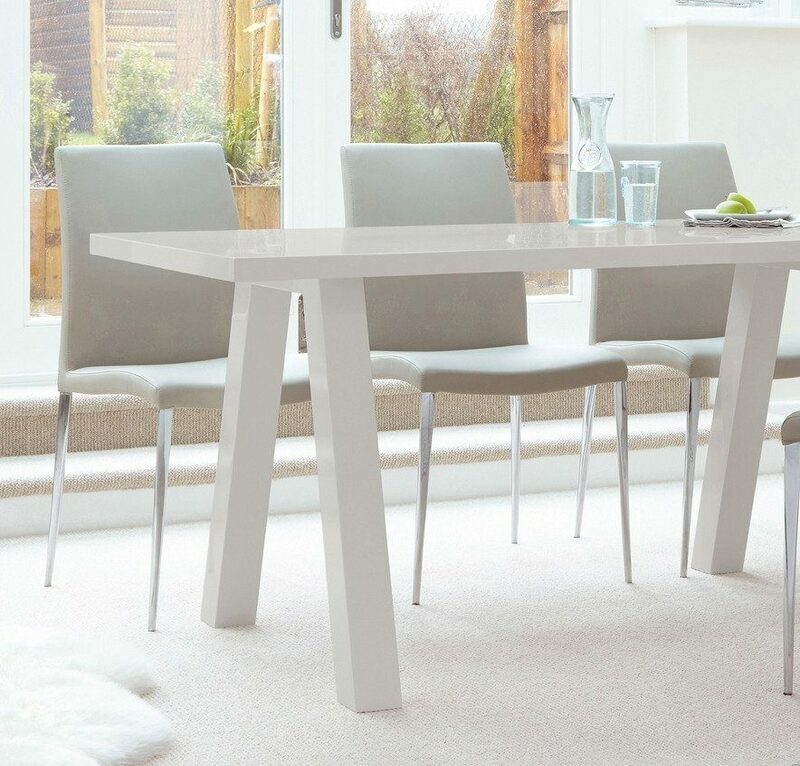 Most noteworthy though, this 6 seater dining table is just £129.... £129!! Since we have an extra 10% off site wide until midnight Monday 17th April 2017 too you'd be a fool to miss out on this one!! In Conclusion, there are excellent deals to be had! So there you have 10 of my top sale picks. We love this product, but we're making room for some really exciting new products coming very soon. Don't forget, until midnight on Monday 17th April 2017 you can get an extra 10% discount off everything! Thats some crazy good deals! 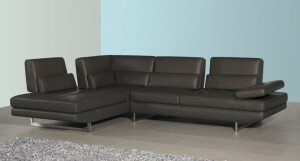 Also, don't forget to share you pictures of your Danetti Furniture with us! Tag us on Instagram using @danetti_com and using the hashtag #Danetti. Better yet, you can also share your pics with us on Twitter and Facebook too! We look forward to seeing your favourite Sale picks! 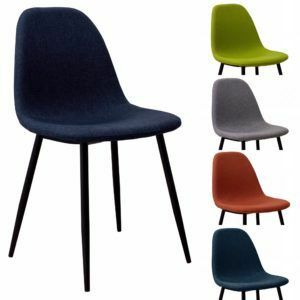 Eames Style Dining Chairs Available for a Limited Time! Yes, I’m afraid you did read the title of this article right...Our current range of Eames Style Dining Chairs will only be available to buy until 28th January 2017! 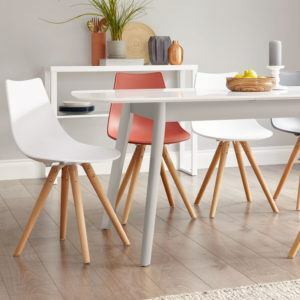 It’s sad, we know…but don’t get too worried, we know just how much you love this style of dining chair and so we have launched a BRAND NEW range that has all the amazing benefits of the Eames chairs but with even more styles and colours to choose from. 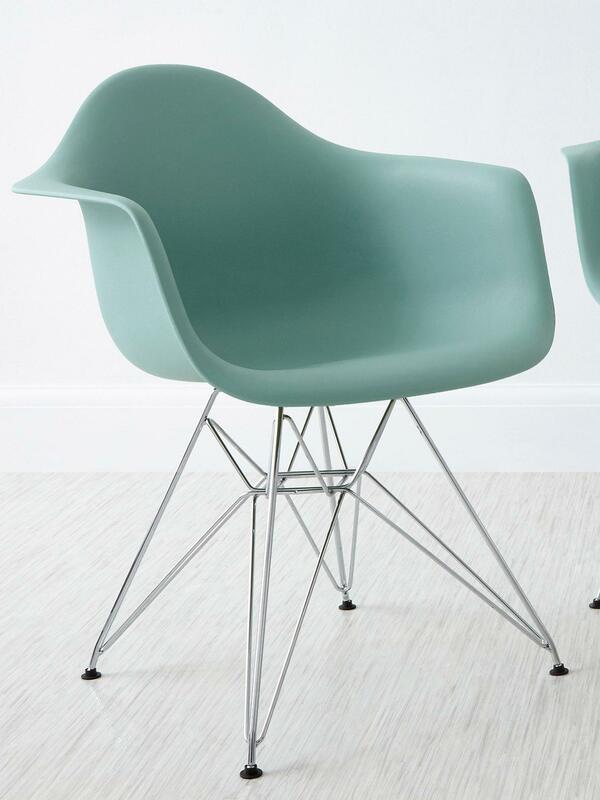 Why are we Discontinuing the Eames Styles? A new UK copyright law for the sale of reproduced classic furniture will now protect classic designs. The repeal of section 52 of the Copyright, Designs and Patents Act 1988 means that iconic design products will now be protected for 70 years (rather than the previous 25 years) after a designer dies. This means that after 28th January 2017, you will no longer be able to buy reproductions of the Eames Style Dining Chairs anywhere in the UK!! 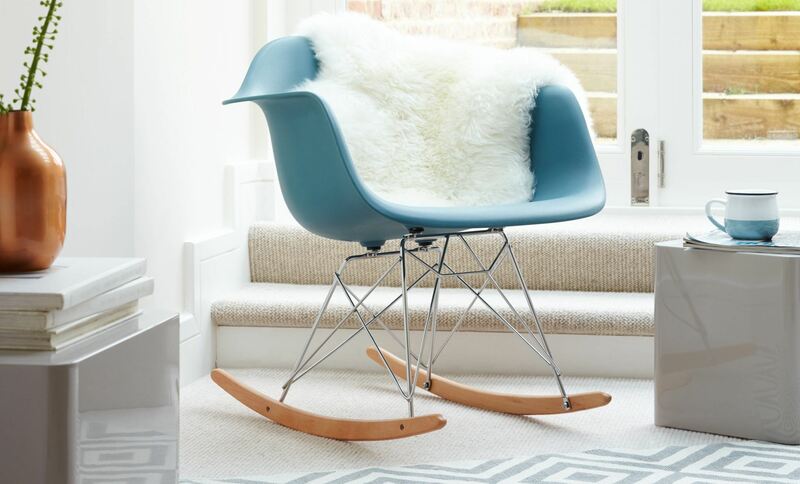 Get Your Eames Style Chairs Now...Before Time Runs Out! The Eames Style Dining Chair successfully made its mark in 2016 as part of the mid-century modern style revival. However, with the new change in law at the end of January 2017, we think that this trend is set to develop with designs becoming more contemporary rather than nostalgic. 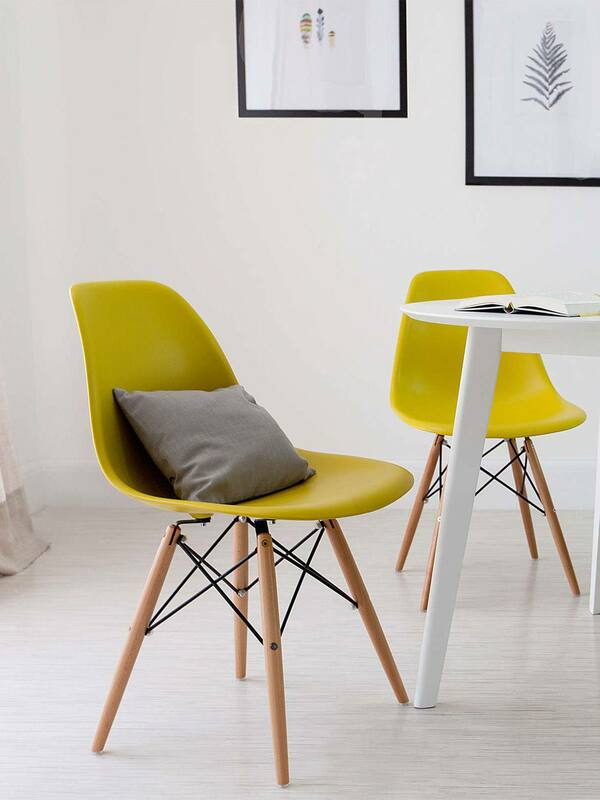 Eames Style Dining Chairs in Mustard Yellow. 11 Colours Available. Now Just £39. 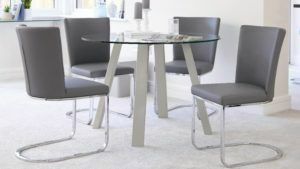 Fern Grey Gloss & Eames Chair 6 Seater Dining Set £453. 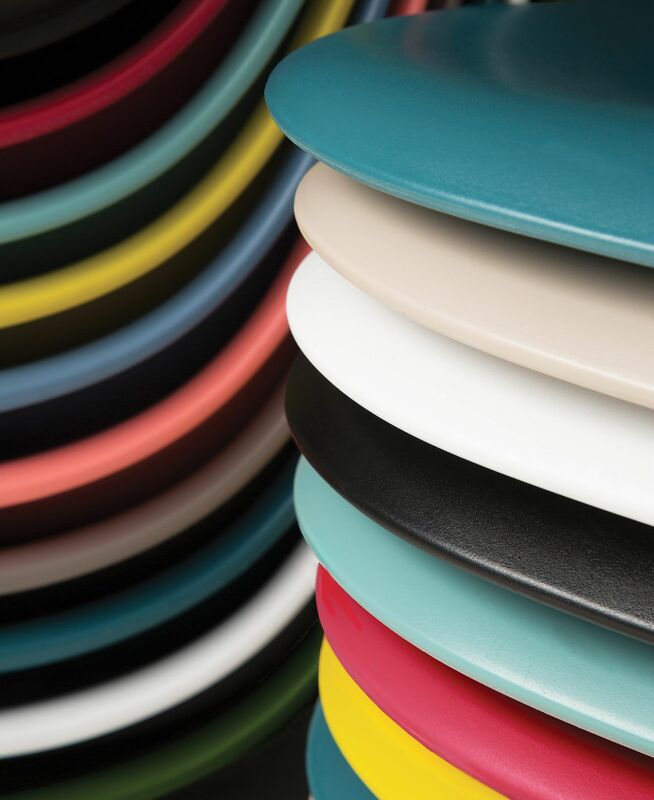 Choose from 11 Mix & Match Colours. 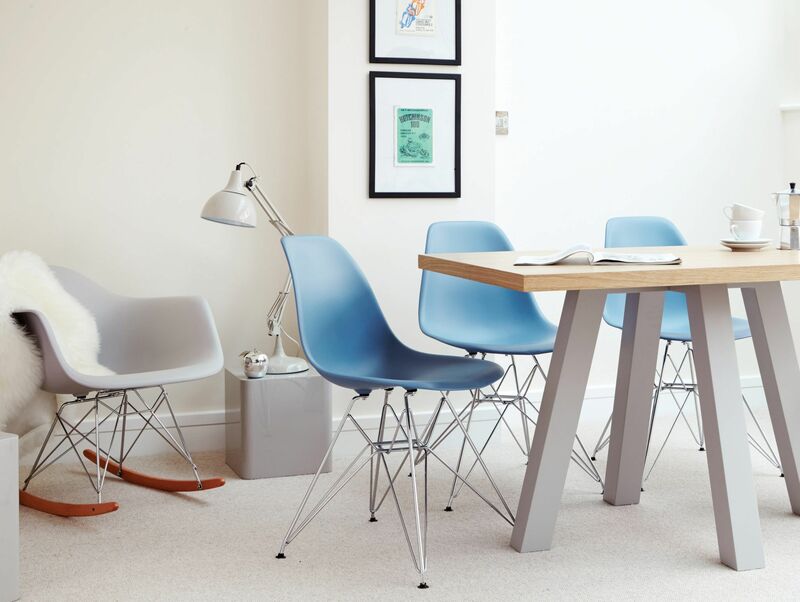 Our Eames Style Dining Chairs are now available from just £29! As one of our Top Rated products, these are selling out fast! 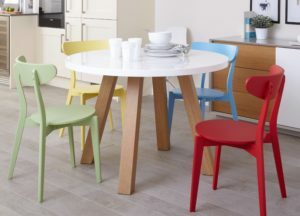 There are 4 different styles of chair and 11 different colours to choose from. Don’t miss out...Get yours now, whilst stocks last! Click Here. 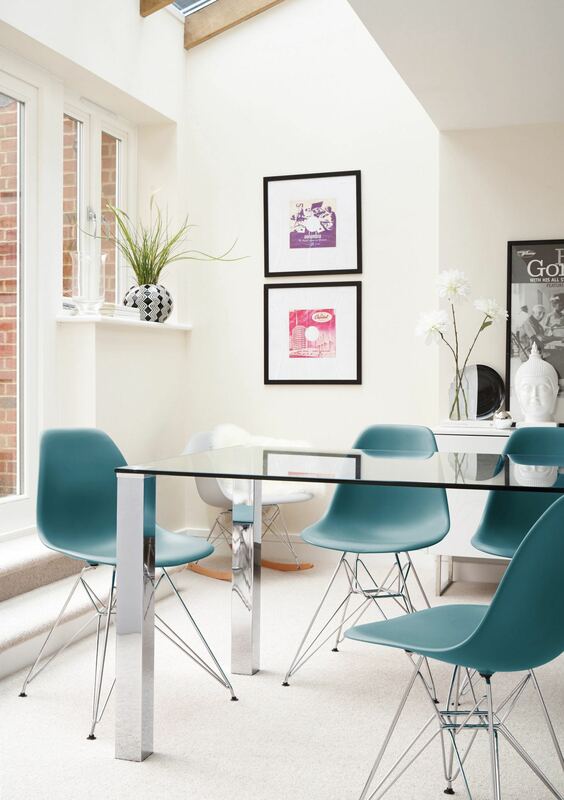 Eames Wire Frame Dining Armchair in Aqua. Now Just £39!! 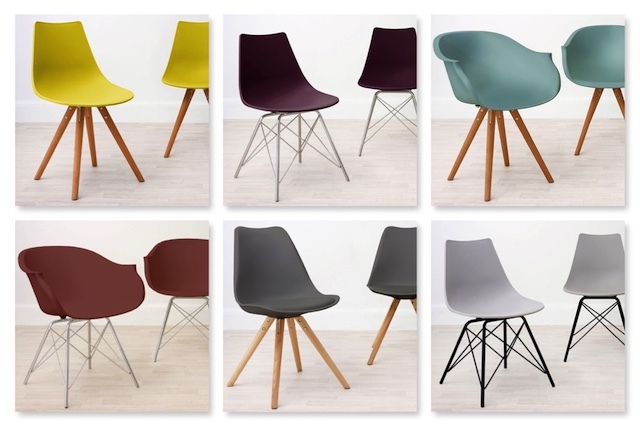 Eames Chair Colour Combinations. 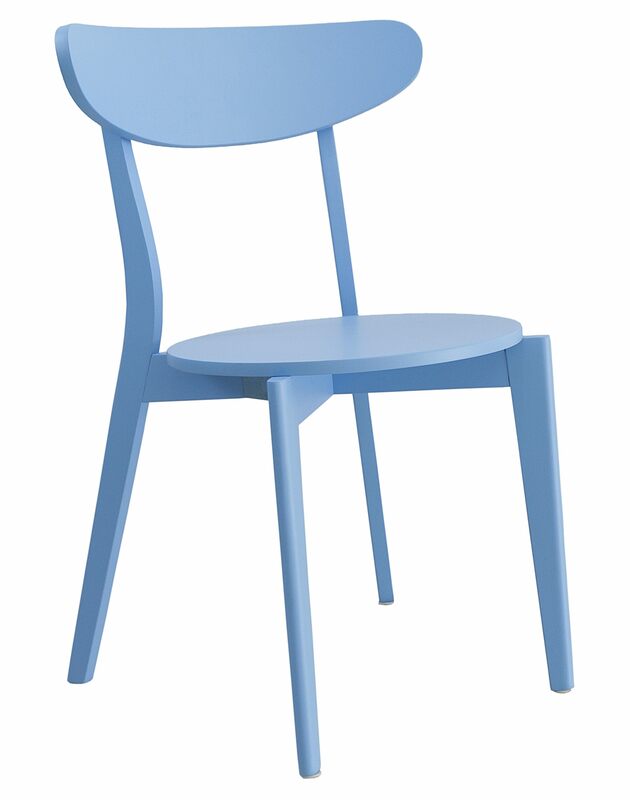 11 Colours Available in each style of chair. 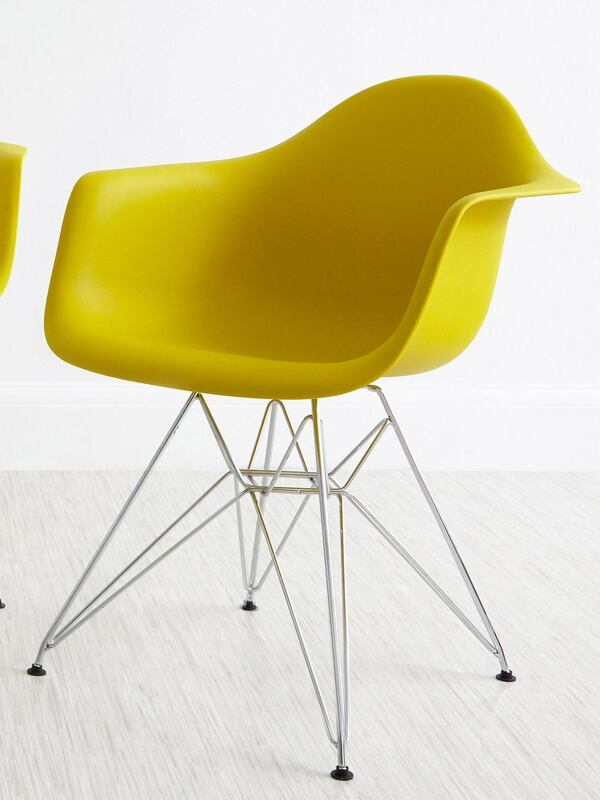 Eames Wire Frame Dining Armchair in Mustard Yellow. Now Just £39!! Fancy a change? 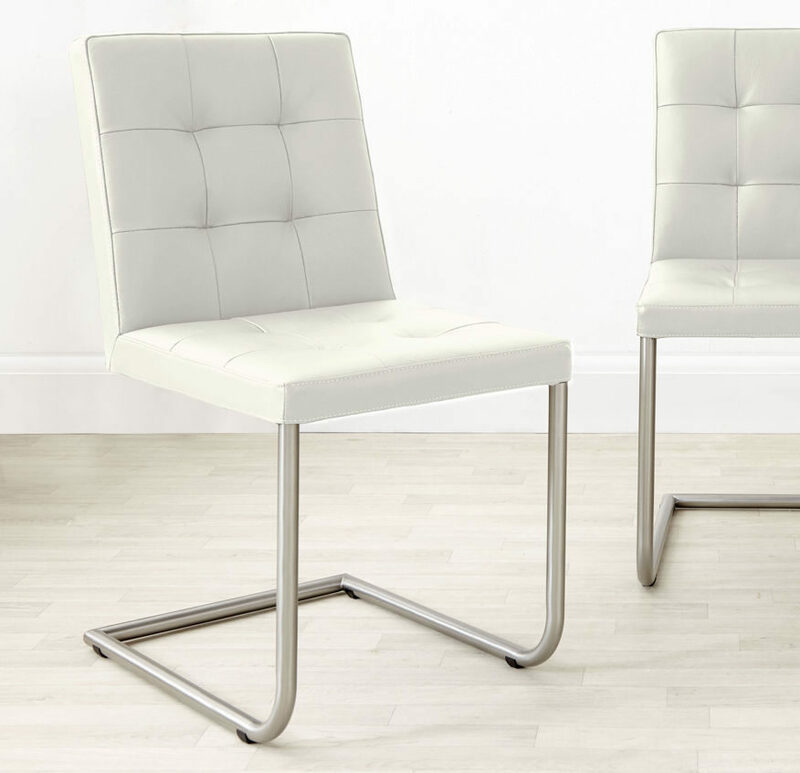 Introducing The Next Generation of Contemporary Dining Chairs...The Delta, Finn, Stylo, Ida & Zilo! 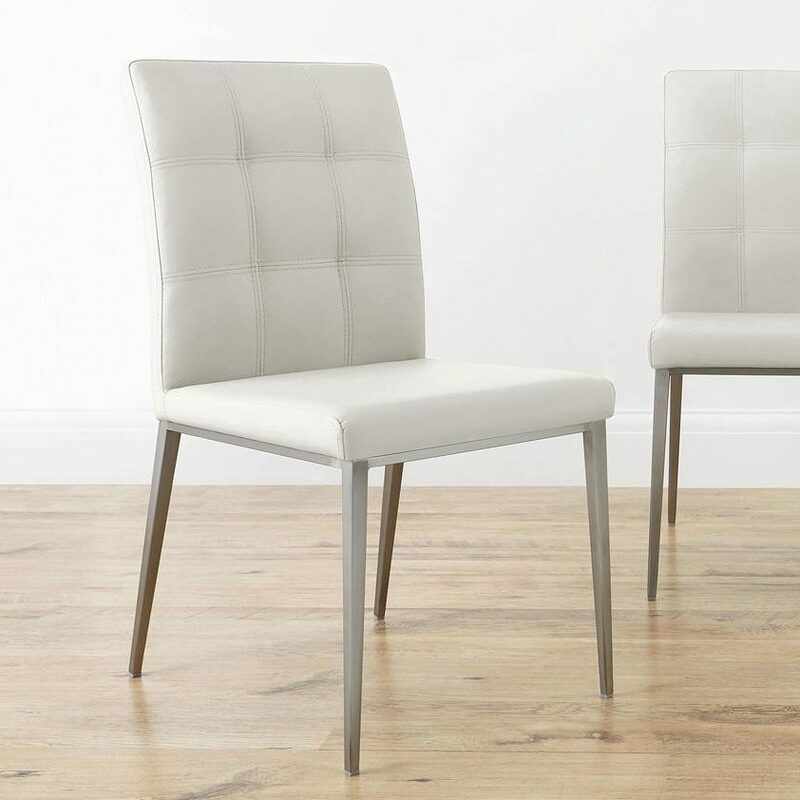 Our new range of dining chairs offer a contemporary take on an iconic design and feature our exclusive on-trend colour palette. 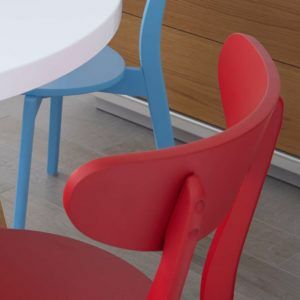 This is the next generation of Eames style dining chairs and we think that you’re going to love them! 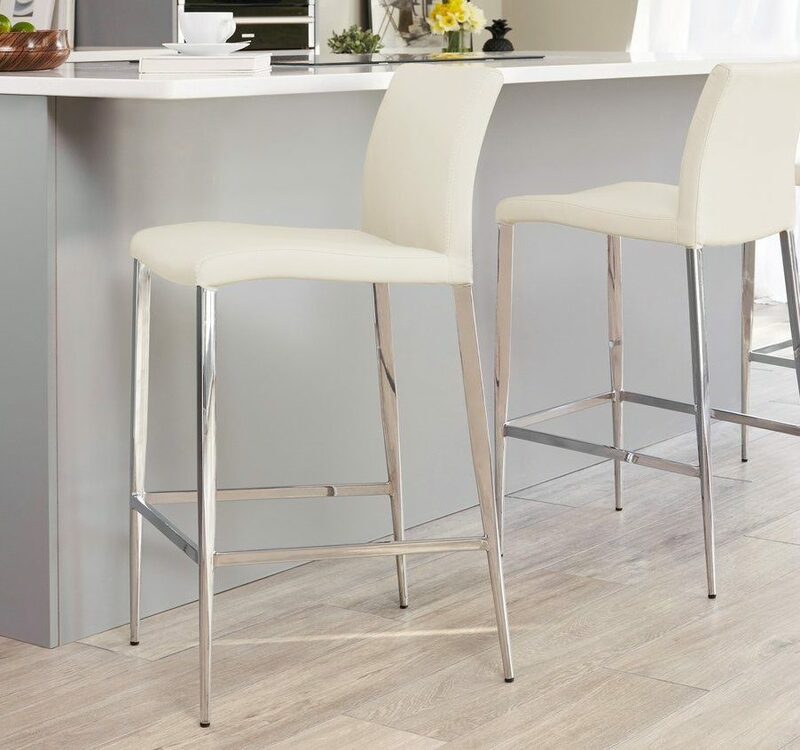 Featuring an ergonomically curved seat and sturdy wooden or metal legs, these chairs take inspiration from the mid-century modern design aesthetic to create the next generation of contemporary dining chair. 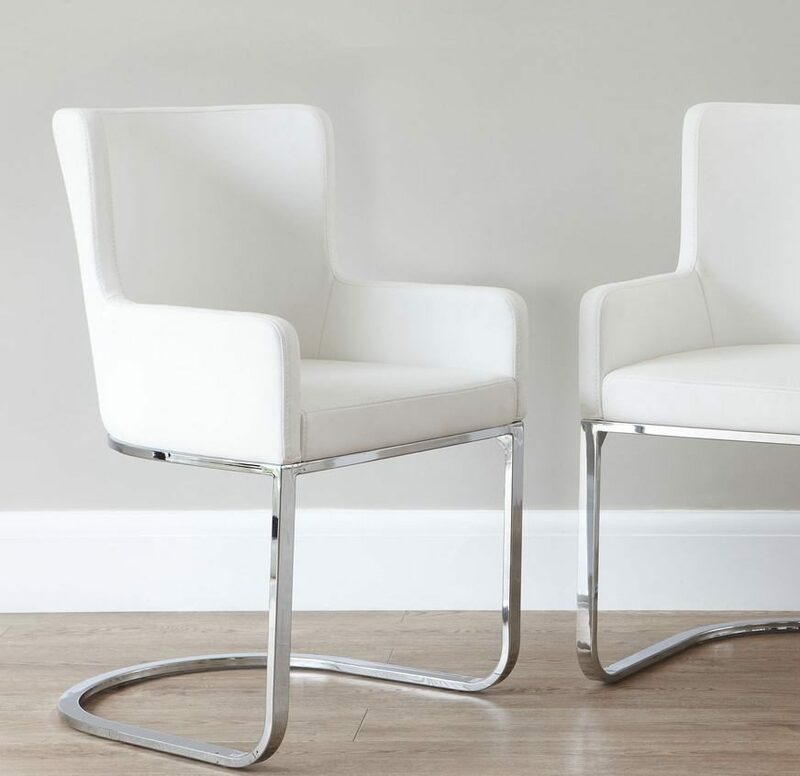 These chairs offer the ideal solution for the modern family lifestyle. A winning combination of function, style and practicality. 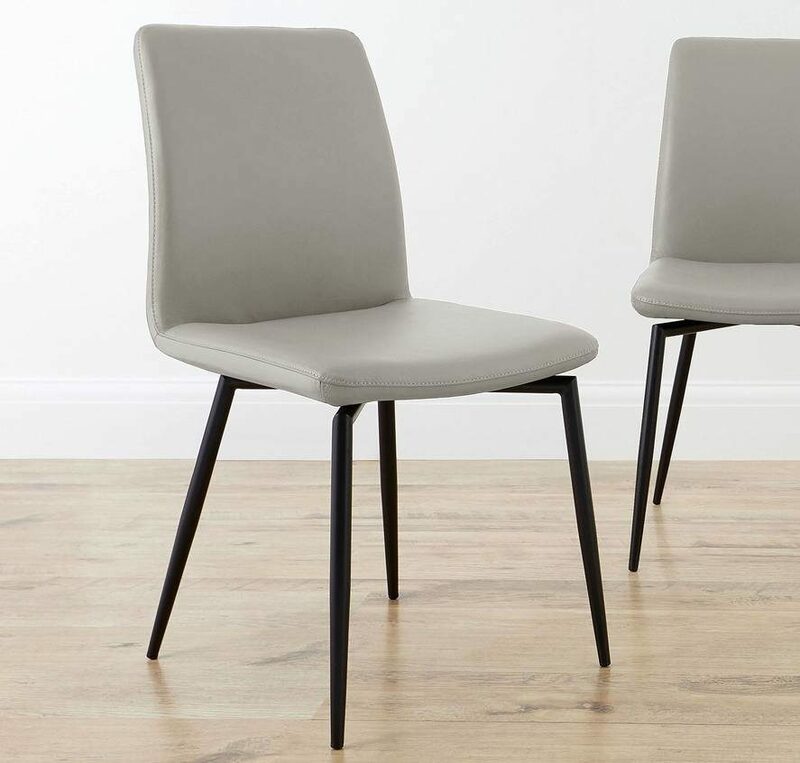 Available in a range of subtle muted tones and vibrant accent colours (hand picked by our in-house design team here at Danetti), these chairs have all of the style credentials to become the next iconic dining seat and are the perfect addition to any contemporary dining room or kitchen. 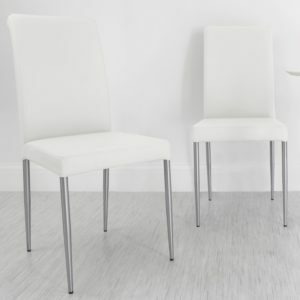 Or New Chairs are available to buy now...Get Yours Here! More Pay Day Bargains – Order Now for Delivery Before Christmas! 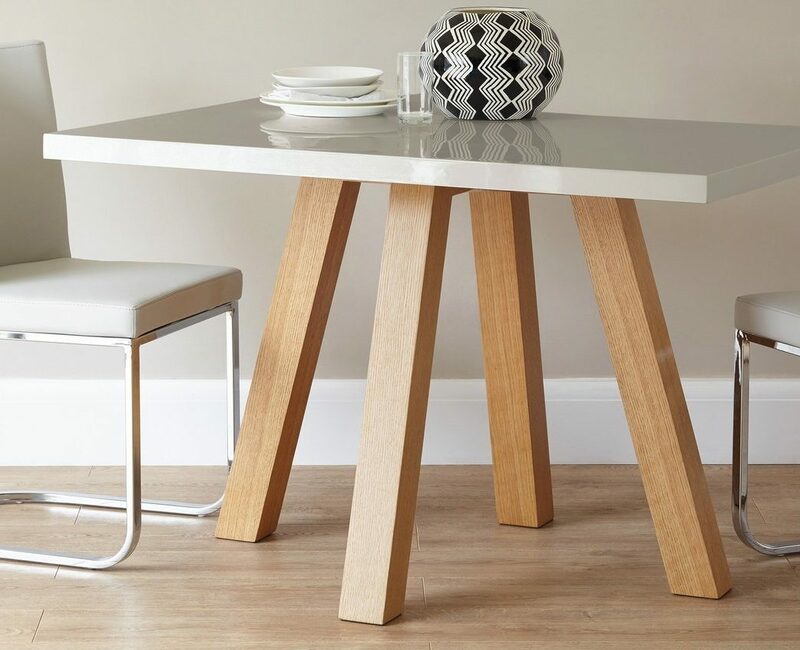 Whether you are looking for a new, modern dining table and chairs, sideboard, coffee table, TV unit, sofa or bar stools, use our code FlashSale at check out on Thursday 24th, Friday 25th, Saturday 26th or Sunday 27th October 2013 only to receive 10% off your order* and show off your new furniture to friends and family this Christmas. *10% off does not apply to delivery charge. And to celebrate we have some bargains up for grabs! 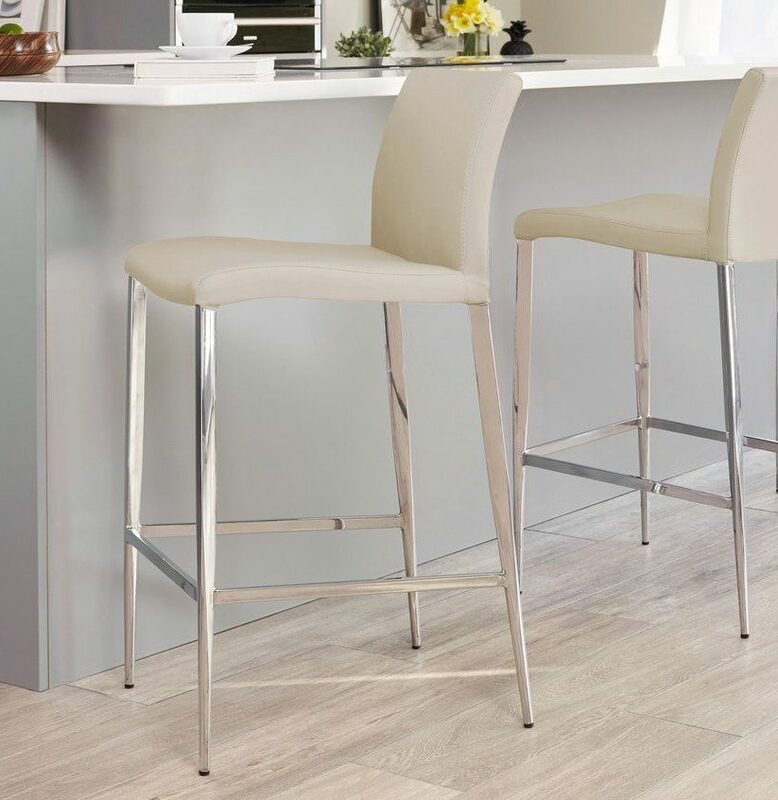 From Bar Stools to Coffee Tables, Dining Tables, Chairs and Sofas, we are offering 10% off everything for 3 days only. 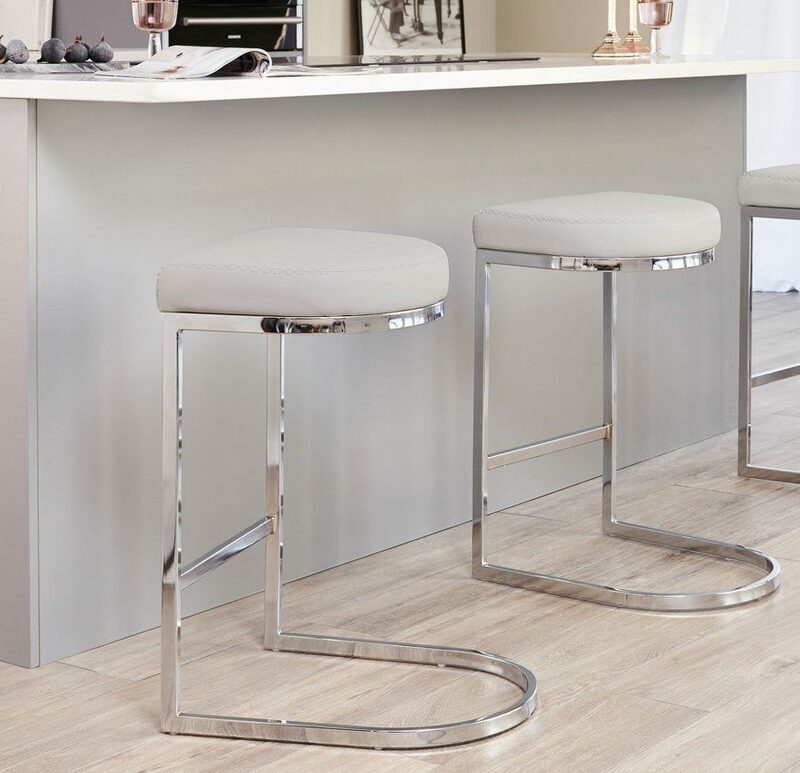 Grab yourself a stylish TV unit, a contemporary dining set or a pair of modern bar stools - we have 10% off everything* this weekend only! Use the code FlashSale at check out on Friday 27th, Saturday 28th and Sunday 29th September 2013 only to receive 10% off your order* - there’s no time to lose... *10% off does not apply to delivery charge. Big Winter Sale – 10% Off Everything! 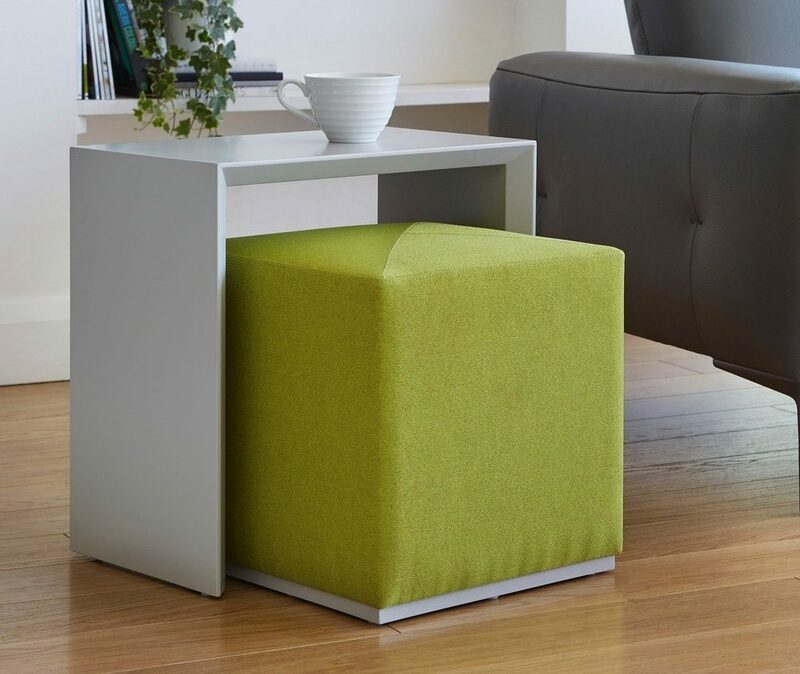 ... if tramping up and down the High Street in the freezing cold isn't your thing, then stay cosy at home and browse our on-line furniture bargains. 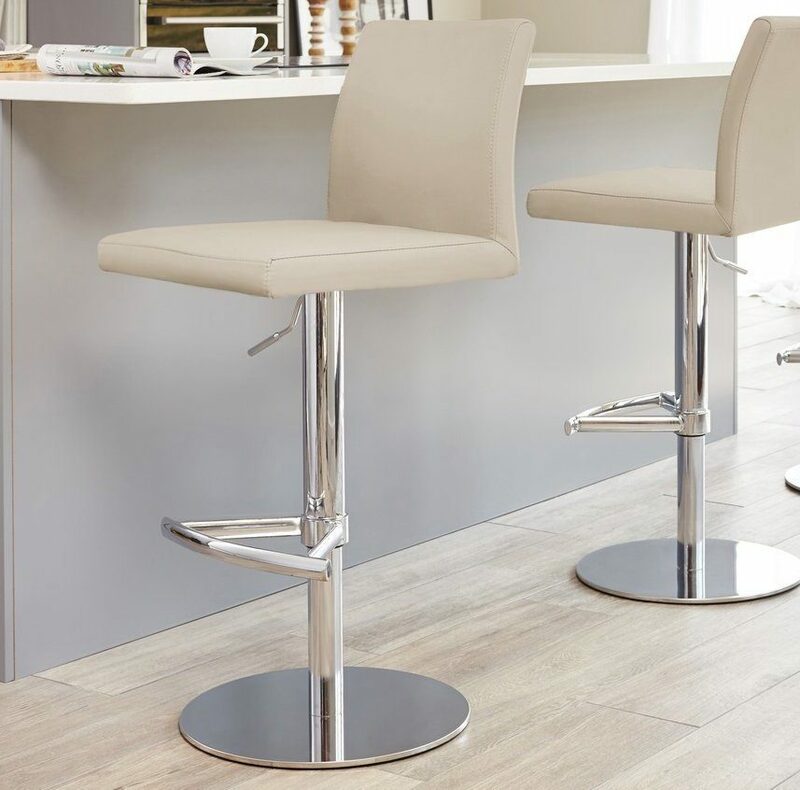 We are offering 10% off our already very attractive prices on Bar Stools, Dining Tables, Dining Chairs, Coffee Tables, Sofas - the whole range in fact! So pour yourself a glass of mulled wine and enjoy the Danetti Big Winter Sale - hurry, these low prices won't last forever! 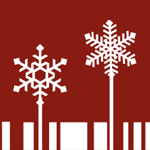 Don't forget our 10% off discount code - SNOWFLAKE - at Checkout!